In 2010 the company undertook the exercise of re-branding itself. The company acquired its new name CHW Forge. Special focus was paid to introduce environment friendly manufacturing techniques. Over 50% of the land is reserved for green area. Sewage Treatment Plant and Effluent Treatment Plant facilities were installed and the company became a zero discharge company. 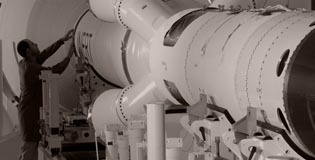 Aluminium forgings were made for the first time for the prestigious BrahMos and Akash missiles programme. 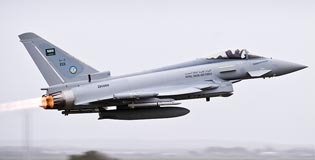 Company made inroads in the defence and aerospace sectors. The ISO 27001 & AS 9100C certification was obtained. CRM was implemented to provide customer support. The state of the art electrical drop bottom heat treatment facility and gas fired furnaces to have good control over the process was established. The CNC ring parting machine from Germany was introduced. Metallurgical laboratory was set up to have control over product quality. In the year 2000 and in the following years, the company made remarkable progress. It acquired all the major system certifications like ISO 9001, ISO 14001 & OHSAS 18001. More than 15 Global customer approvals were obtained, and started exporting to more than 20 countries. ERP and centralised document management system were introduced. A state of the art Seamless Ring Rolling Machine, Hydraulic Press from Germany and precision CNC 3-axis machines were imported. In 1990, the demand for clean fuel grew and new project such as DHDS was undertaken by all the refineries to produce clean fuel. New challenges emerged. New turning machines and vertical machining center were introduced to increase the capacity and performance. The doors for the export market opened for the company. The first export order for Belgium was obtained for stainless steel forged products and there was no looking back. As operations of the company grew, additional land of 150,000 Sq. Meters was purchased and Unit 2 was established in the year 1996. 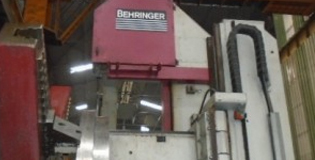 Heavy Forging Equipments and boilers were installed to manufacture forgings up to 5000 Kg. Productivity was enhanced by introducing Forging Manipulators from Germany. In the year 1980, the company changed its name to Chaudhry Hammer Works. The focus of the company shifted to forgings for a booming “Oil and Gas” sector. The infrastructure was set up to make heavy components which were required for oil exploration and oil refineries. BHEL, EIL & PDIL were our main customers. 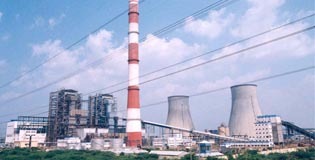 During this period Coal based power plants were being set up across the country. 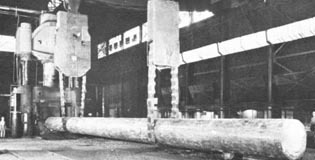 Modern Heat Treatment facility was set up. For the first time Vertical Hardening & Tempering process was introduced in any privately owned company. The company played a very important role in serving the nation. In the year 1970, India began to industrialise and the focus of the company shifted from agriculture to industrial sector. 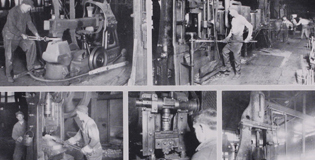 The production of crankshafts and rolls were started. 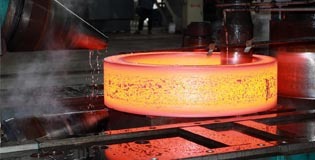 The company shifted its main focus from casting to forgings. Testing equipments from Germany were imported to meet the industrial challenges. 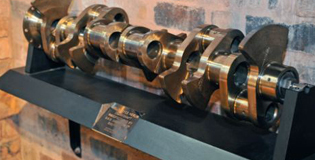 The company manufactured forgings for rolling mills and engineering applications. In 1956 the foundation stone of the company named “Chaudhry Engineering and Hammer Works” was laid by a great visionary Ch. Chhabil Dass, who later on became the mayor of the walled city, Ghaziabad. The company commenced operations in the year 1960. It made a modest beginning with a hammer imported from England. 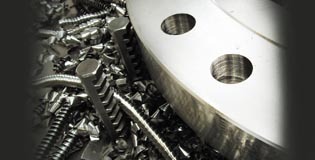 With a small group of people, a beginning was made to refine the art of castings and forgings. The products were mainly manufactured to meet the needs of agro based economy, in which oil engines were a speciality.